This week’s Torah portion, Terumah, relates God’s instructions to the Israelites for constructing the Mishkan, the Holy Tabernacle. The most important part of this elaborate structure was undoubtedly the Aron HaKodesh, the Ark of the Covenant. Throughout the centuries, this gold-plated Ark has often been depicted in art, history, and even film (perhaps most notably with Indiana Jones in Raiders of the Lost Ark). However, what the Ark actually looked like is hard to discern. 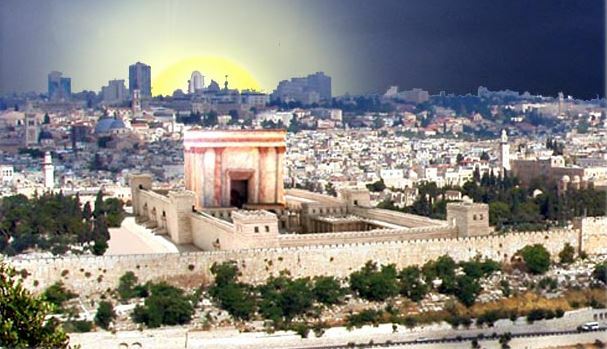 The Ark disappeared two and a half thousand years ago when the First Temple was destroyed. Since then, many different versions and interpretations for its appearance have been proposed, both by Jewish Sages and secular scholars. 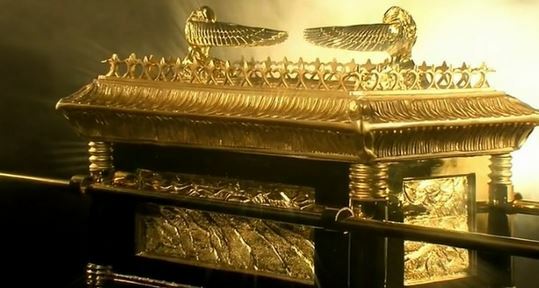 The issue is not so much with the Ark itself, since the Torah is pretty clear on its description: a box two and a half cubits long, one and a half cubits wide, and one and a half cubits high, made of wood and plated with gold from the inside and out. (A cubit is somewhere in the area of two feet long.) What’s not so clear is the part that follows: the Ark’s cover, with its two golden Cherubs. What is a Cherub (kruv, in Hebrew)? The only descriptor the Torah gives is that the Cherubs had wings. 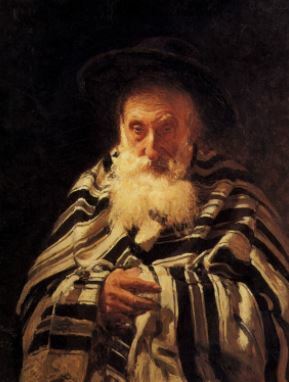 Rashi, drawing from the Talmud, comments on verse 25:18 that they had the face of a child. The Torah describes the two as being set on the cover ish el echav, literally “a man facing his brother”. This suggests a human form to the Cherubs, along with their child-like face and wings. 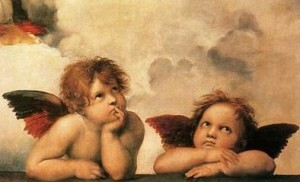 Indeed, this is how the Cherubs are generally depicted. The reality may be quite different, though. 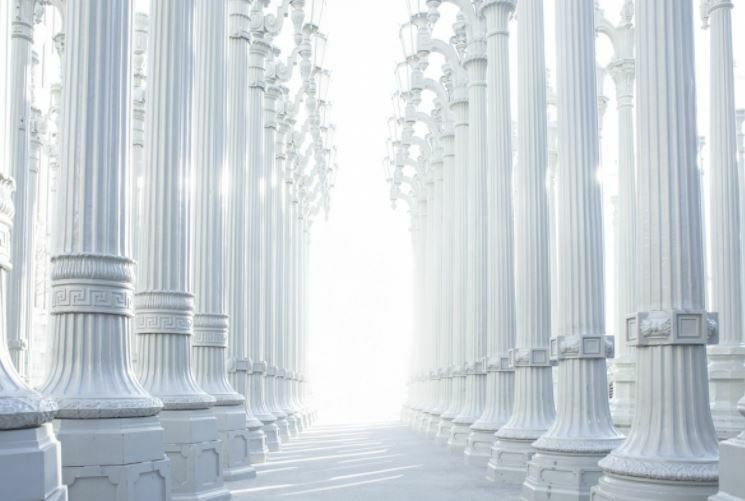 A look at the historical and Biblical evidence may shed some more light as to the true identity of the Cherubs. A similar word for the Hebrew term kruv is found across the languages of the Ancient Near East: kuribu in Akkadian, karabu or kirubu in Babylonian and Assyrian. These refer to very large statues placed at entrances to important venues which served as guardians. They had the body of a bull or lion, with wings, and a human head. At times, they were worshipped as guardian deities. This parallels the Torah’s original description of Cherubs. The very first time Cherubs appear is in Genesis 3:24. Following Adam and Eve’s banishment from the Garden of Eden, God placed Cherubs to guard the entrance to Eden so that man could not return. 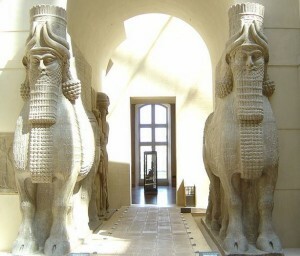 Like the Mesopotamian kuribu, the Cherubs are guarding an entrance. This could be why the Cherubs were placed atop the Ark, again as guardians of the holy vessel. When the Tanakh describes how King Solomon built the Temple in Jerusalem (I Kings, chapter 6), it states that Solomon had two massive ten-cubit high Cherubs placed at the entrance to the Holy of Holies (the room in which the Ark of the Covenant was kept). 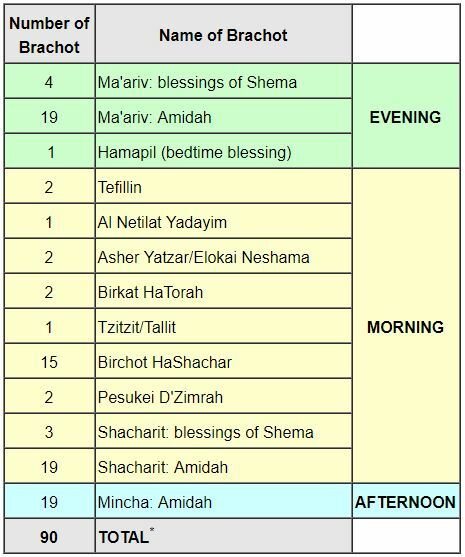 The following chapter describes them as kruvim arayot, “Cherub-Lions” (7:36). Not only do we once again see the Cherubs as guarding an entrance, but we now have some evidence that the Cherubs had a lion-like appearance, just as the Mesopotamian kuribu often had. 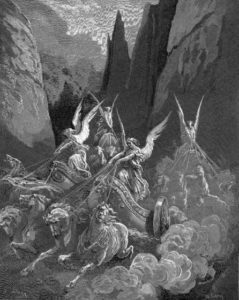 All of this appears to hint to a famous passage in the Bible: Ezekiel’s Vision of the Chariot. Ezekiel describes his angelic vision, with winged figures that have attributes of a lion, an ox, an eagle, and the appearance of a man. The figures are leading the way for the Divine Chariot, again serving as sentries or guardians. 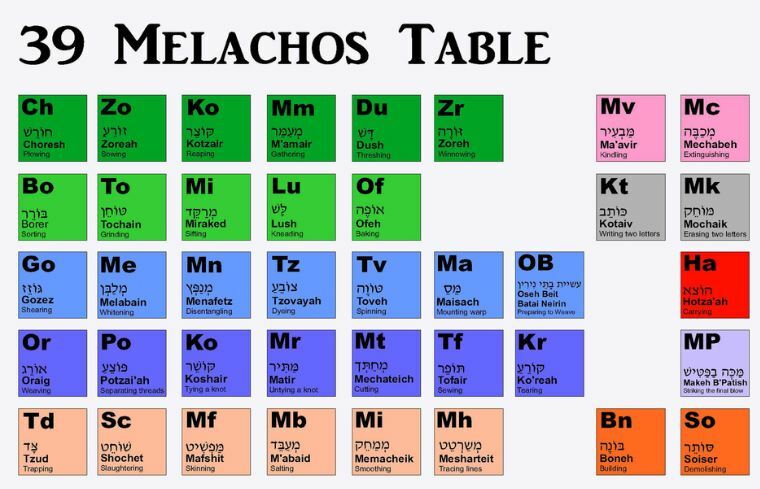 This description allows us to potentially synthesize the Torah’s description of Cherubs with the historical and Biblical evidence: human-like winged creatures with aspects of a lion and a bull or ox. Although Cherubs are not explicitly mentioned in Ezekiel’s account, the Merkava, or Chariot, is explicitly mentioned, and it shares the same root letters (k-r-v or r-k-v) as Cherubs, kruvim. We can draw further proof from the Book of Psalms, which states that God “rode upon a Cherub, and flew, and swooped down upon the wings of the wind,” (18:11) as well as from II Samuel, which says God “rode upon a Cherub, and flew, and was seen upon the wings of the wind,” (22:11). Clearly, the Cherubs are associated with the Divine Chariot, so it isn’t hard to relate them to Ezekiel’s vision. So, are the Cherubs innocent child-like, winged angels, as depicted in art, or are they powerful Heavenly guardians with the hybrid qualities of various majestic beasts? Ultimately, we may never know the true appearance of the Cherubs. Perhaps they are not even concrete entities, but rather metaphorical devices or prophetic visions, like the Divine Chariot is often interpreted to be. Whatever the case, we may just have to rethink the way we commonly draw the Ark of the Covenant and its Cherubs. 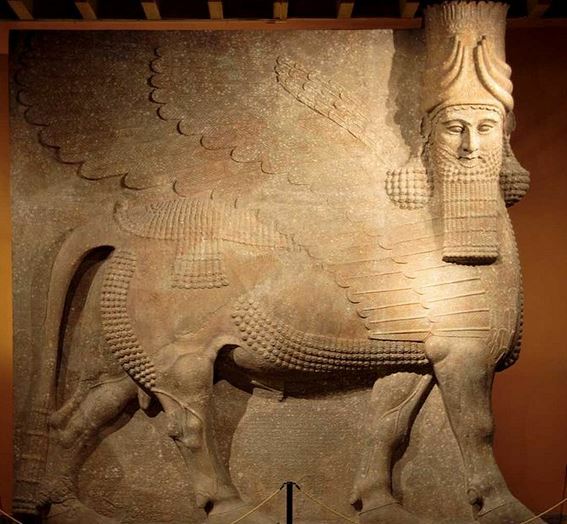 This entry was posted in Archaeology & History, Mysteries & Origins and tagged Akkadian, Angels, Ark of the Covenant, Assyria, Babylon, Cherub, Divine Chariot, Ezekiel, Garden of Eden, Holy of Holies, II Samuel, King Solomon, Merkavah, Mishkan, Psalms, Temple, Terumah on February 20, 2015 by Efraim Palvanov.